We’ve had a great summer: lots of exploring and adventures and hanging out with friends and family. Leigh’s had his last really long, lazy summer holiday as a student so we felt we had to make the most of it – as of next year things really start heating up with this training to be a doctor business. I’ve just about managed to keep things ticking over on the blog, but my other writing has been on hold for what feels like forever. And to be honest, much as I’ve had a wonderful time, there’s a growing part of me that’s looking forward to September and getting back to my book. So when I had an email from Mummy Tries asking if I’d like to take part in a virtual blog tour for bloggers with writing projects on the go I jumped at the chance – I figured it’d be the perfect opportunity to regroup and remind myself what I was doing with all those hours spent on Scrivener earlier in the year and get ready for the next phase of crafting my novel. I came across her blog through various linkies we’ve both taken part in, and not only did I love her writing with its perfect balance of wit and sincerity but we also seemed to be very aligned in the way we think about parenting, education and the wider world. She’s recently finished the first draft of her first book, a self-help book which draws on her own difficult childhood to support people in moving away from dysfunctional pasts. You can read more about this project in her post here. The working title of this novel is ‘A Little Dream’. It explores the darker side of relationships, fitting quite nicely into the relatively new genre of ‘chick noir‘ though I hadn’t even heard of that when I started to write it. The story unfolds from the perspective of Grace, a twenty-something media type living in London. Right from the start we have the sense that something’s missing from her life, and it seems that she’s found it when she starts to dream of the mysterious Drew. But then he comes into her life for real – at least she thinks he does – and everything starts to get a lot more complicated. On one level the story can be read as a psychological thriller, but that very much depends on whose version of reality you come to believe. One of the things that’s pleased me most about the feedback I’ve had from my initial readers is that their interpretations of what’s going on vary wildly, which is precisely the effect I’m hoping to achieve. How does my work differ from others in the genre? The books that seem to fall under the umbrella of chick noir vary quite a lot in their treatment of relationships, but what they have in common is an exploration of the darker aspects of humanity and the dysfunctional relationships that can be born out of them. Two of my favourite examples of the genre are S.J. Watson’s ‘Before I Go To Sleep‘ and Gillian Flynn’s ‘Gone Girl‘ – both are brilliantly unsettling in the worlds they create, leaving the reader unsure of where reality lies until their shocking twists are revealed. I think I am beginning to achieve something similar with ‘A Little Dream’ – it’s definitely a key area I want to work on during the redrafting process. There are some aspects of my story that really set it apart though. My protagonist is younger and more naive than the wives in other examples of the genre, and the relationship she finds herself in is younger too. It’s full of the intensity of youth, and all the insecurities that come with that. There are elements of Grace’s experience that are quite strongly autobiographical, but fortunately not all of them given how things turn out for her! With ‘Lili Badger’, I had a strong sense of wanting to articulate the experience of young people I had worked with as a teacher, and in particular my fears for their futures in a world which rarely gives teenagers the respect and credit they deserve. With ‘A Little Dream’ my inspiration was more personal. I’ve watched too many brilliant women fall under the spell of dangerous men, men who make them question their own sanity as they chip away at their self-esteem. There are so many pressures on young women today to achieve it all – the perfect career as well as the perfect relationship – and for some women I think society’s demands can begin to really cloud their sense of self. Grace struggles with all of this, as well as depression and other mental health issues. As the story has developed this aspect of it has grown, and I hope it might prompt some necessary discussions about mental health, something which is still sorely neglected in our society given the number of people affected by it. What is my writing process? I’ve blogged quite a lot about different aspects of my creative process – you can read more about it here. In terms of this novel, I’m so far following a similar process to with my first. At the end of last year I made loads of unstructured, barely coherent notes capturing the ideas for the story that had been swirling around my head for a while. These gradually began to take shape, and I mapped them into chapter summaries which formed the backbone of the novel. After some additional research into areas I felt less confident writing about I set the project up in Scrivener. Working with a deadline of Easter I ended up with a daily target of about 1500 words – and then I just made sure I wrote them! I wrote for a couple of hours each day whilst Arthur napped in the sling, though often I’d still be in the midst of it when he woke up and he’d have to entertain himself in my study which inevitably resulted in an almighty mess… He was remarkably patient though, and I couldn’t have done it without him. 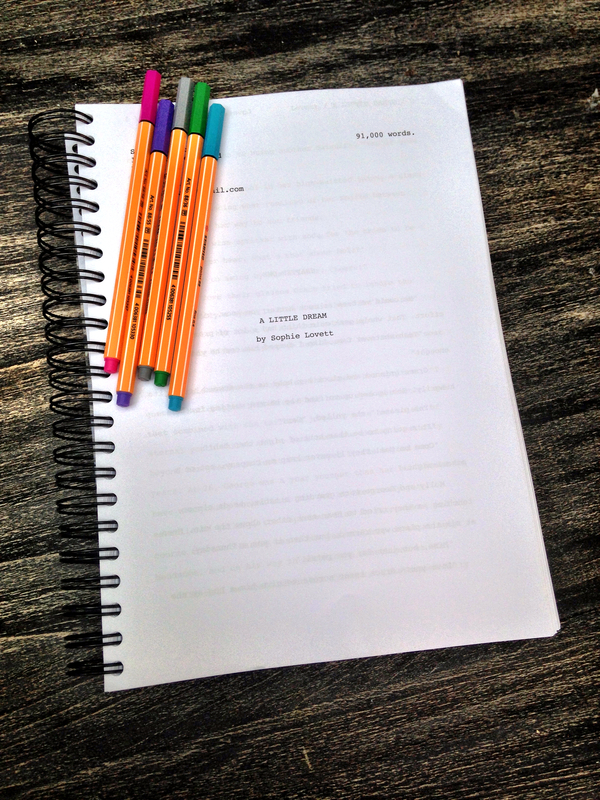 I finished the first first draft just before Easter, and let it sit for a while before going through and correcting my most glaring errors. I then got ten copies printed out which went to my trusted first readers – a combination of friends and family – as well as my agent. I’ve collated all their feedback now, and am ready to start some serious redrafting. That’s what I’ll be getting down to next week, and I’m very much hoping I can find the same level of productivity as I had earlier in the year! 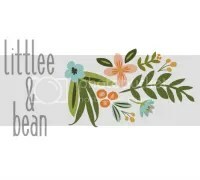 Meanwhile though the next stop on the virtual blog tour is littlee & bean. I came across Steph’s poetry through the Prose for Thought linky and was immediately impressed. She has such a fantastic way with words, and her poems are powerful and evocative without a hint of tweeness. I was really excited to find out that she’s writing a book, one which explores her experience of being forced to convert as a teenager to a very strict form of Islam. I’m fascinated to find out more about it, so make sure you hop across to her blog next Monday to see what she has to say. There’s someone else I’ve invited too but in the craziness of summer I haven’t heard back from her yet… I’ll let you know if she decides to join in as I’m very excited to hear more about the book she has brewing. This entry was posted in Sophie is writing, Uncategorized and tagged before I go to sleep, chick noir, creative process, gone girl, novel, writing, writing process on August 25, 2014 by sophieblovett.